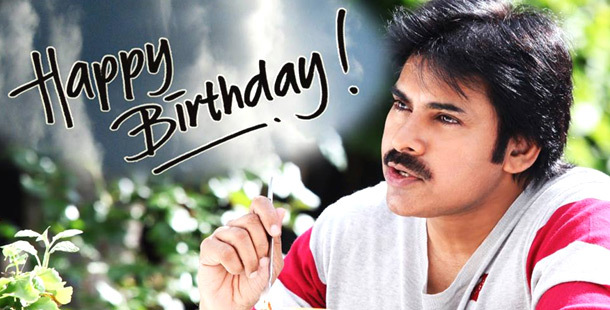 Check below some of the birthday wishes tweeted by film celebrities and power star fans. Samantha Ruth Prabhu ‏@Samanthaprabhu: "Happy happy birthday Pawan sir... God bless u.. Will always be in admiration of the person u are..."
Varun Sandesh ‏@iamvarunsandesh: "Wishin d one n only Powerstar Pawan Kalyan garu a very Happy Birthday!!! :-)"
SIRISH ALLU ‏@SirishAllu: "Wish Powerstar Pawan Kalyan, a happy birthday & a great yr ahead.. :)"
Harish Shankar .S ‏@harish2you: "Happy Birthday......GABBAR SINGH ..... Luv u always ...."
Sreedhar Pillai ‏@sri50: "Happy Birthday 2 one and only Powerstar Pawan Kalyan." Neelima Tirumalasett ‏@TheNeelima: "My destiny's other name #PawanKalyan. a relation so close to my heart N an honour to walk in his foot steps, H B'day." Ramesh Bala ‏@rameshlaus: "Wishin 1 of my fav actors in #Tollywood - a man with immense screen presence & unique actin style #PowerStar #PawanKalyan a Happy Birthday!" Sai Kalyan ‏@kundurthi_sai: "Born in the year 1971. a day so special to all his fans! Standing tall, with so much power. .the one and only #Powerstar # PawanKalyan!" Deepak Reddy ‏@Deepuzoomout: "Enigma,power,energy etc words avasaramle brotheru.antha kastapadakkarle, just synonym "pawan kalyan" ani ante sari #HappyBirthdayPawanKalyan.